It has been almost a week since my return from Malaysia. I remember the frenetic pace of activities before my departure. As my boys’ school year came to a close, there were spring recitals (yes spring! ), day trips, picture taking, and graduation parties. On my end, I had to shop, pack, cook, and write. It seemed like I would not be able to get it all in before I left. My days were hectic but thank God, all things eventually worked itself out. Getting on the plane was like settling in for the night. It gave me time to chill out before experiencing the fast pace city life once again. Hard to believe I am now home, still dealing with jet lag and adjusting to our quiet life back here in Minnesota. It seems harder to get over the jet lag this time round. Perhaps it is because I had such a prolonged and somewhat traumatic journey home but that is a story for another post. For now, let’s get back to Malaysia. I landed in Kuala Lumpur mid morning. The first thing that greeted me as I got off the plane was the heat and humidity. It was like walking into a wall after the coolness of the aircraft. The humidity was probably hovering around 90% to 95%. I felt my clothes getting tighter and stickier as I began to perspire. Even so it was good to be “home”. I was anxious to see my parents and nieces who were at the terminal to meet me. It has been two years since I last saw them. They have aged and grown and so have I. The city skyline continues to morph and change and has become a little less familiar to me with each visit. My Dad asked if I would like to stop by the nursery. I am after all a food blogger and could not pass up the chance to be reacquainted with the plants, fruits, and vegetables of my native land. I was also curious to see how long I could endure the heat and humidity that threaten to engulf me, trying hard to recall how I dealt with it in the past. I am proud to say that I did pretty well, at least for about an hour. The company and surroundings kept me entertained and occupied. 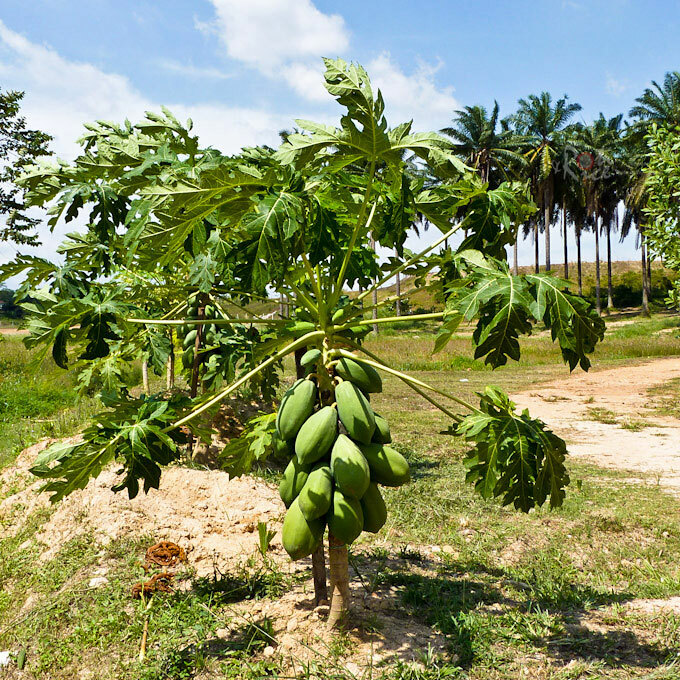 The first plant that I came across was the banana plant and aptly so as bananas are the second most cultivated fruit in Malaysia. 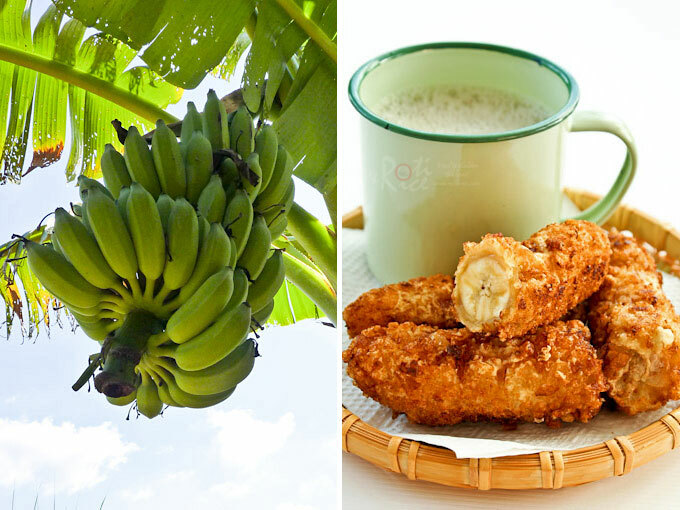 About 50% of the banana growing land today is cultivated with Pisang Berangan and Cavendish bananas. In the old days however, we ate mainly pisang emas and pisang rastali. These were eaten on their own or fried in batter known as pisang goreng, a tea time favorite. More plantain-like varieties namely pisang raja and pisang tanduk were used mainly for cooking. A debt of gratitude to your death bed. 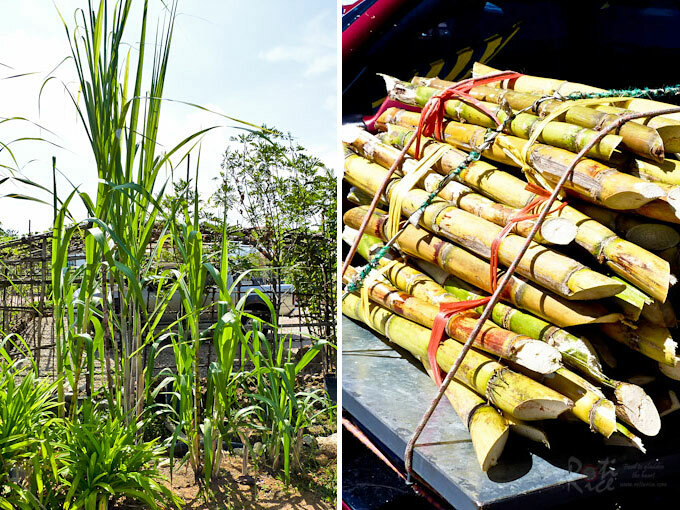 Pure sugar cane juice known as air tebu is a refreshing and very popular drink in Malaysia. The canes are chopped into shorter sections with sharp tips to be fed through a set of stainless steel rollers. The rollers crush the canes producing a green colored liquid. The liquid is strained and the pulp discarded. 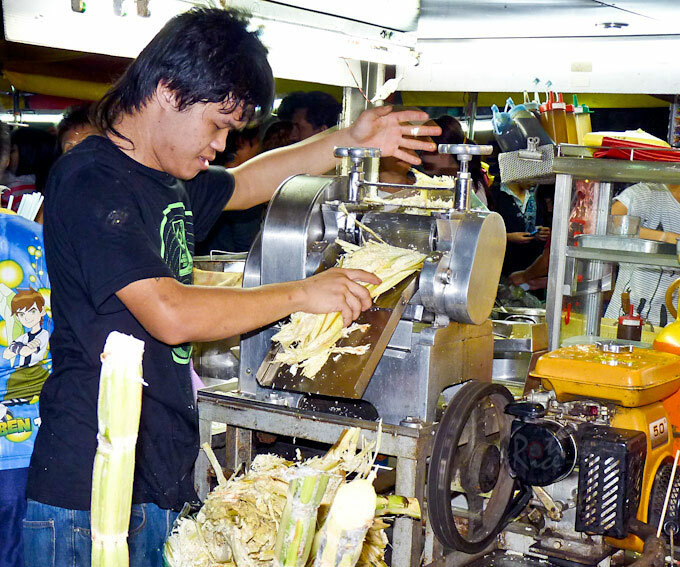 Sugar cane juice is usually served cold with crushed ice. You have to give it a try if you ever get the chance to visit. My quest for purple sweet potatoes ever since I made those spiral mooncakes ended here at the nursery. If only I could bring some home but bringing plants, fruits, and vegetables into the United States is strictly prohibited. 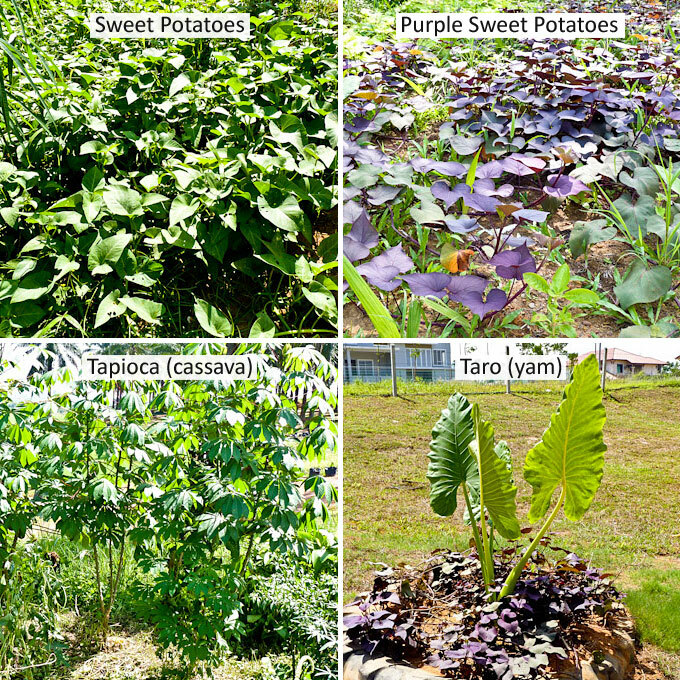 It was most convenient that the purple sweet potato plants also have purple leaves. Leaves of the regular sweet potatoes are quite tasty stir fried with sambal belacan (spicy shrimp paste mixture). Tapioca (cassava) can be steamed and eaten with freshly grated coconut and brown sugar or made into kuih bingka (tapioca cakes). 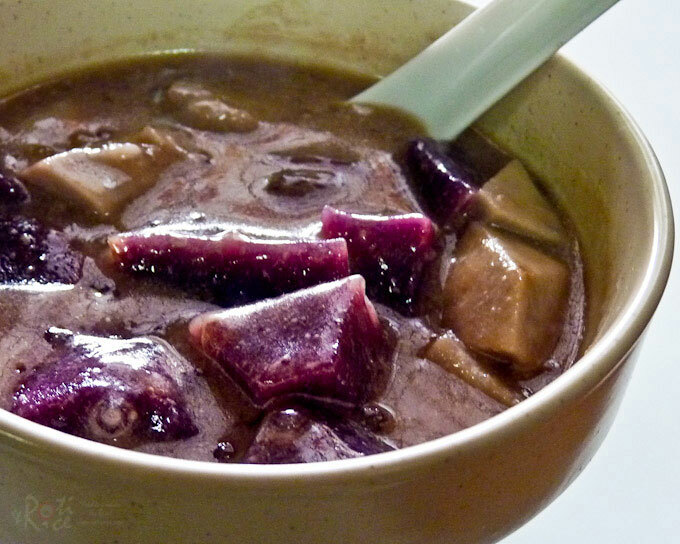 The next day, mom made bubur cha cha with purple sweet potatoes and taro. In Malaysia, taro is known as yam. Next, we moved to the vegetable section. I was thrilled to see two of my favorite vegetables – kacang panjang (long beans) and kacang botol (wing beans). I immediately got mom and my nieces to pluck some of each so that I can get a taste as soon as possible. 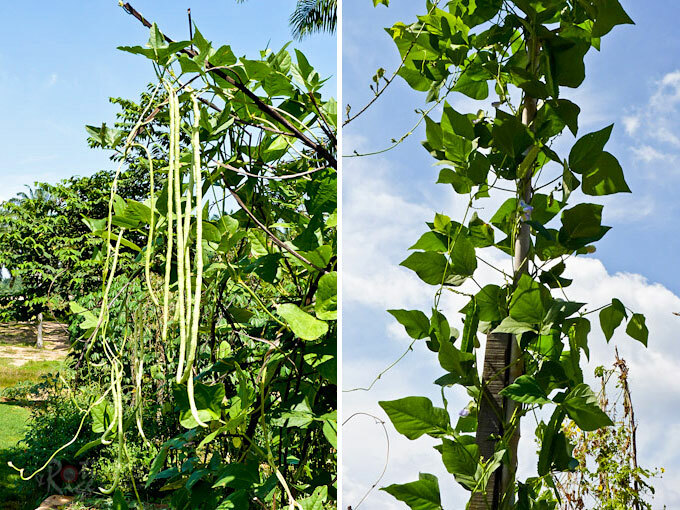 Long beans can be purchased here but wing beans are almost impossible to find. I have only seen it once and you betcha I bought enough and more! Almost every dish in Malaysia is served with a side of chilis. In the old days, cut red chilies or pickled green chilies in soy sauce were the norm. Today, most coffee shops serve cut chili padi (bird’s eye chili) in an effort to cut cost as the price of red chilies are much higher. 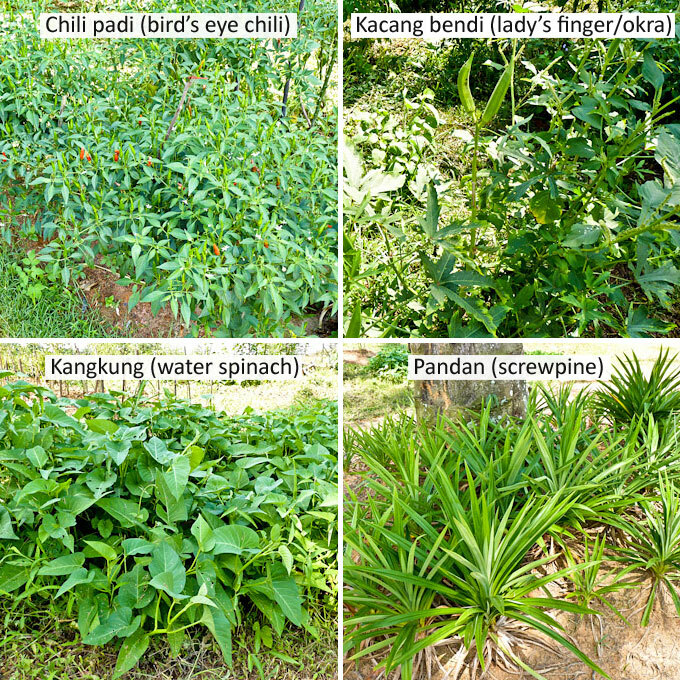 Kacang bendi commonly known as lady’s finger and kangkung (water spinach) are found in abundance. Both are popular and relatively inexpensive. Thankfully as of last summer, water spinach is once again sold in Minnesota. It was considered an invasive non native aquatic species and was banned. Finally, we have the beloved pandan (pandanus/screwpine). 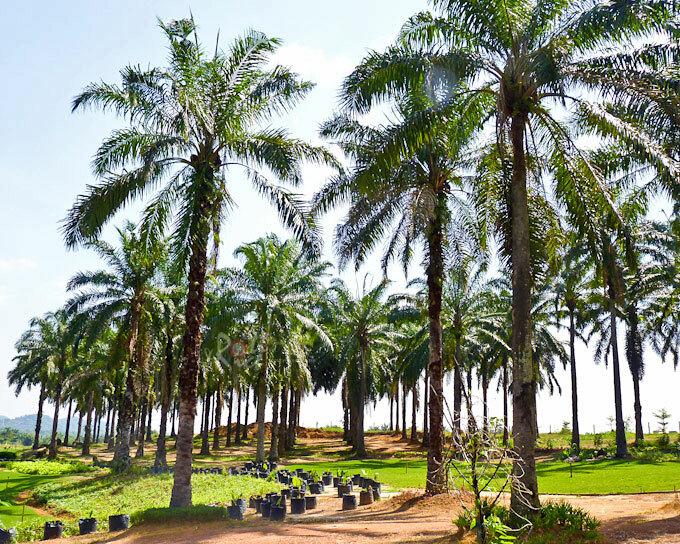 These palm-like shrubs are liberally used in Southeast Asian cooking to add a distinct aroma to rice, curries, and desserts. Fresh leaves are torn and tied into a knot and submerged into the cooking liquid. The fragrance of pandan is unlike any other. 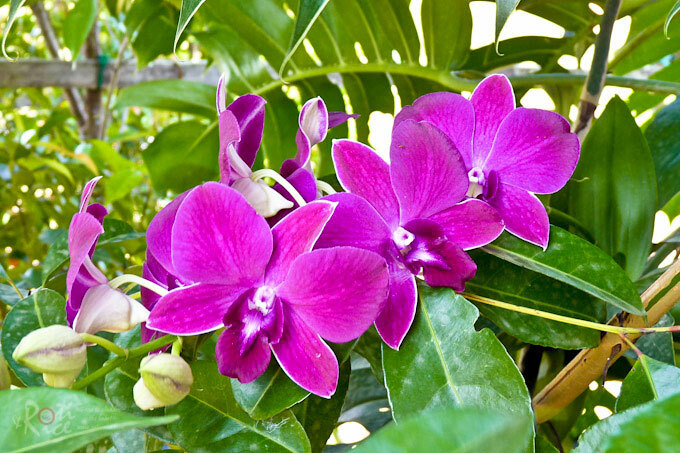 The scent is sweet and floral, almost sensual. It absolutely fills the kitchen when used in baked goods. Extracted pandan juice can be used as a natural coloring and is incredibly fragrant. Pandan extracts and flavorings are inferior to the real thing. Pandan paste has a better flavor but it also has an artificial green color added to it. The Indians use kewra, an extract from the pandanus flower used to flavor drinks and desserts. It is said to have the same fragrance. I have personally not seen or used kewra. Mom also cooked steamed lady’s finger (okra). 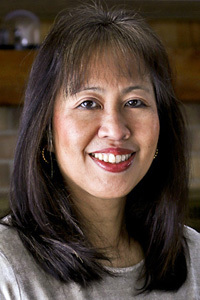 She used sambal belacan (the real thing!) for the dressing. My quick and easy version is an adaptation using bottled garlic chili sauce. I really enjoyed my visit to the nursery but after about an hour under the hot tropical sun, I was ready to head indoors. I badly needed a cold splashing shower and a change into clothes more suited for the climate. My tummy was growling and I couldn’t wait to fill it with some delicious local fare. When in Malaysia, one cannot help but notice the abundant hawker fare every where. 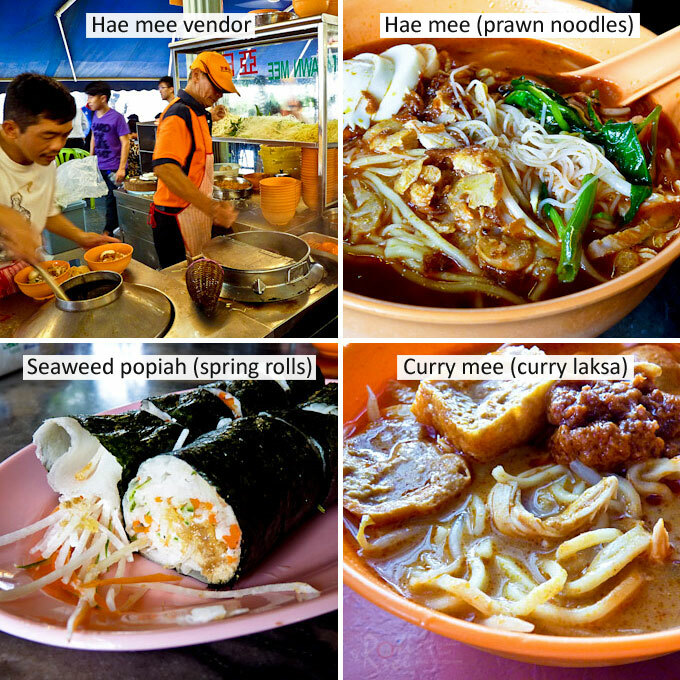 Hawker food is found in the cities, suburbs, street corners, and even out of the way places. Malaysians love to eat and are passionate about their food. This Chee Cheong Fun (steamed rolled rice noodles with tofu and fish cakes) was purchased from a moving street vendor parked close to the morning open air market in my parents’ neighborhood. Chee Cheong Fun is usually eaten for breakfast. The top two pictures show the hae mee (prawn noodles) in PJ New Town. Although this vendor’s hae mee is pretty good, there is dissenting opinion in the family as to whether it is the best in town. 😉 The bottom left pictures shows the new style popiah (spring roll) with raw carrots and jicama wrapped in nori. Not sure of the reception for this one. My personal favorite is curry mee (curry laksa) although I can’t say I have a favorite stall as I no longer live there. I had this at the “banana leaf” coffee shop in Sea Park which turned out to be pretty good. No trip to Malaysia is complete for me without eating at least one bowl of curry mee. Other local favorites include Hainanese chicken rice and claypot chicken rice. One of the perks of visiting mom is that I get to eat all my favorite dishes, meal after meal. 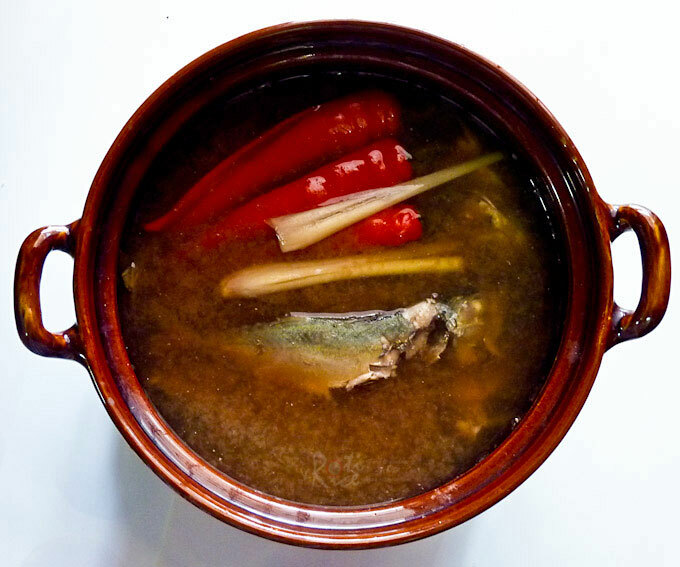 This is kong ah sam fish – ikan kembong (Indian mackerel) cooked in lemongrass scented tamarind juice, an old family recipe that I have not encountered outside. It is tangy, slightly spicy, delicious, and a breeze to cook. brilliant post in a gist! especially love that pantung! Your mum’s cooking must be really delish! I’m salivating just from imagining the sambal bendi! Thanks Alan! I am glad to hear you enjoyed the post. I must say I had fun with the pantun. 😀 Mom is a great cook and she feeds me well every time I visit. That sambal bendi was really delicious! Very nice post, now I know more about Malaysia:D That nursery looks really nice! So does the food of course! Truly enjoyed reading this blog…can’t wait for part 2!! I believe you’ve captured the essence of most of us, the “transplanted” Malaysians -on how we feel each time when we make that pilgrimage to our native homeland! I couldn’t have written it better! P.S. love the photos too! Glad to hear you enjoyed the post. I wanted to capture the Malaysia I grew up in and all the simple things I enjoyed as a kid. Hopefully some things will always remain the same despite the rapid progress and changes happening in the city. Wonderful post Biren! Kudos to you for still being able to go on a jaunt through the nursery, in such uncomfortable weather, right off the plane! Your translation of the pantun is admirable 🙂 You even managed to rhyme it in English!! I could not pass up the opportunity to visit the nursery as my stay was not all that long. It was not too far from the airport but quite a distance from my parents’ home. Sadly, I did not eat pisang emas this time as there were so many things to savor. No way I can taste it all. My favorite is pisang rastali. Not sure if I even saw them this time. I did get to eat my ciku though and it was good. They are getting somewhat rare. Lovely post, Biren. Thanks for walking us through the nursery and bringing us down memory lane! I haven’t been back since 2008, hence, reading your post is really refreshing AND most of all, mouth-watering. LOL! Thanks Nasifriet! Wow…it has been a while since you were back. Many changes especially in the bigger cities. It can be a reverse culture shock for us transplants. That asam fish was really good. I don’t get to eat it here as I can’t get ikan kembong in Minnesota. Maybe I should try it with some other fish but it won’t be the same. You can make the bubur cha cha though. Just a few ingredients and quite simple to make. I’ll have to save this and the next posts on Malaysia! I am planning a trip there around Christmas and cannot wait! Lovely Post Biren. Some of the vegetables you mention reminded me of Kenya but some are new to me. It must have been great to be spoilt by your parents. Looking forward to your second Post. This is a wonderful post! I have become a huge fan of Malaysian food, so it’s fascinating to read about the country and the fruit and the plants, and to see those beautiful pictures! Thanks Elana! Hopefully you get to visit one of these days. It’s obvious that your parents are some of your biggest fans and that they also had a lot to do with your love of food and cooking! That’s wonderful! What a great trip and beautiful pictures! I do know what you mean about going home and being hit with heat and humidity, something that you aren’t use to anymore. That’s what I don’t miss in the south! Thanks for sharing your trip! Yes, the humidity really got to me. While I was there, I kept wondering how I survived it all those years. I have been to Kuala Lumpur for one day during a stop over on my via to Sri Lanka… it’s beautiful from what I saw!! I loved the food because it was such a diverse and spicy!! Looks like you had a fantastic trip! Wow thanks for sharing this, it brings back a lot of memories. Thanks Raymund! I do remember you saying that you did live in KL for a short time. Perhaps you can visit one of these days. Love everything here except pisang. Don’t know why but I hate bananas, just can’t accept the taste :< Those sambal are making me hungry & i like bobo cha cha too. Yummy! I hope you have a wonderful visit with your dad. If only your dad lived a little closer, it will be fun to meet up. Biren, I bet you’re going to have a fantastic time back home & you going to enjoy all the food as well. Make sure you don’t miss a single dish of them. haha… Have load of fun & food, dear. I wanted to spend some time here reading your Malaysia posts. What a lot of wonderful food you had…I would love to make that trip, first stop your mom’s for her cooking 🙂 I don’t know if I could eat it as spicy as the locals though! It’s too bad that they’re growing so much Cavendish bananas, as I think the local bananas are much more appealing (pun intended). I should try making it with trout and see how it turns out…..